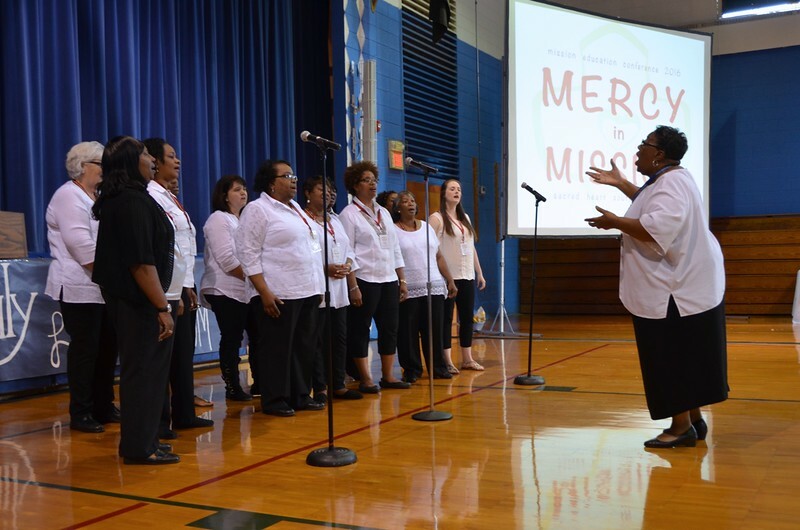 Day two of Mission Education was based at Holy Family School in Holly Springs, Mississippi. Led by a choir of the school's teachers and staff under the direction of their principal, Clara Isom, the day started and ended in song. Topics covered during the day included team ministry, development and support services and the sharing of the Dehonian charism with others. Lunch was a southern Thanksgiving meal complete with sweet potato pie all made by members of a local Baptist church. In the evening, out-of-town participants enjoyed a dinner cruise on the Mississippi. Clara Isom, principal of Holy Family, and the choir made up of teachers and staff of the school, lead the conference participants in song.